From drafting to complete assembly and warehousing services, our dedicated staff will do whatever it takes to meet each customer's demands. If we can't do it in house, we will work with our business partners to ensure that all necessary processes are completed for your product. Integrated solutions make for efficient logistics and profitable performance for your business. Our expert staff includes several full-time draftsmen. For projects where considerable detail production and finishing are required, Ernest-Spencer's project managers and quality team thoroughly review the specifications to ensure that we meet or exceed customer expectations. Special packaging, export documentation, etc. For processes that we do not perform in-house, we rely on trusted suppliers to back us up, and we expect the same level of quality and performance from our suppliers as we expect from ourselves. In many cases our customers find it advantageous to have Ernest-Spencer perform assembly operations. 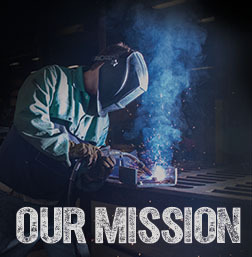 Our skilled production staff is experienced in assembly and finishing processes and can provide whatever level of service your need. Once your order to complete, we pack the finished products to ensure product integrity and security in shipment. Custom packaging available, including custom boxes, special wrapping, packing, labeling etc. We can package your products to go directly to the stock shelf. Ernest-Spencer can not only build your products for you, we can also provide warehousing, stocking, and fulfillment services at our facility for "just-in-time" or convenience delivery. We build, stock and ship your order to meet your needs, for additional cost. Returnable racks systems for efficient and cost-effective resources management. Whether your order is being shipped across town, across the country, or even overseas, Ernest-Spencer can get it there for you efficiently and affordably. Our own delivery fleet of flatbed and box trailers covers Kansas and Missouri. We work with major trucking companies (including both long haul and common carriers) to deliver your order when and where you need it.